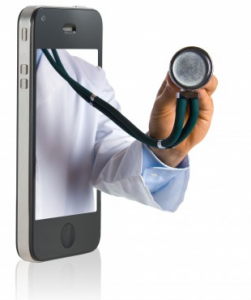 Of the 1 million apps that Apple has for mobile devices, about 40,000 were developed for healthcare. Despite the number of apps developed for healthcare, the majority have only simple functionality. But the stage has been set for remote monitoring and provides the potential for additional data collection to aid in healthcare management. Almost 50% of the healthcare apps are free and while they cover the full spectrum of patient/provider needs; healthy living apps dominate the space while self-diagnosis, prescription filling and medication compliance have the lowest numbers of apps. 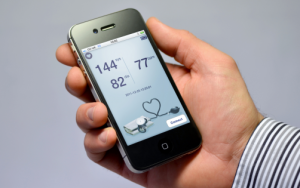 Physicians can see the potential benefits of mobile healthcare apps but remain wary of formally recommending apps to patients without evidence of their benefit, clear professional guidelines regarding their use in practice, and confidence in the security of personal health information that may be generated or transmitted by the app. Payers and employer wellness programs also want clear evidence of benefit before considering reimbursement or promoting the use of apps. One of the things that the non-healthcare business sector has realized is that the development of apps usually leads to the development of better apps. Healthcare simply does not have the money nor enthusiasts out there to spend time in the development which is for the purpose of developing instead of an end goal. Providers using a mobile device for their EHR state that the biggest hindrance is the number of times a day a physician must log into the EHR. Literally hundreds of times a day which may eventually translate to losing the time benefit gained when going from paper to electronic format. So if one of you geeks out there can figure out an app to simplify the log-in process without compromising security; there’s money to be made! The most common capability of widely available consumer healthcare apps is the ability to provide information – 10,840 consumer apps have this feature, or approximately 2/3 of all consumer targeted apps. Fewer apps have other functions, for example, 5,823 can provide instructions, 5,095 capture data entered by the user and 1,357 apps have a remind/alert function built into them. The most obvious future use of apps is the collection of data, sharing of data between provider and patient, evaluating the data and intervening (medication or behavior changes) without having to actually having a face to face with a physician. But first of course, someone has to figure out how to pay the provider for this function before it will be widely developed or used. While there remains much potential for healthcare apps, the barriers remain large and the ‘risk vs reward’ possibility is not always obvious.